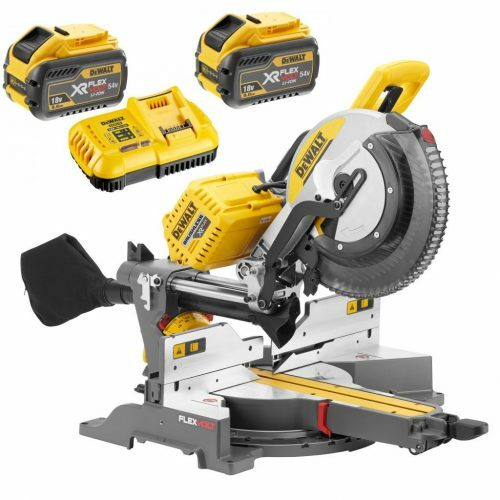 The new DHS780 FlexVolt 305mm (12”) mitre saw with brushless motor and hybrid drive is powered by either 2x 54v FlexVolt batteries or via AC/DC mains adapter (not included). 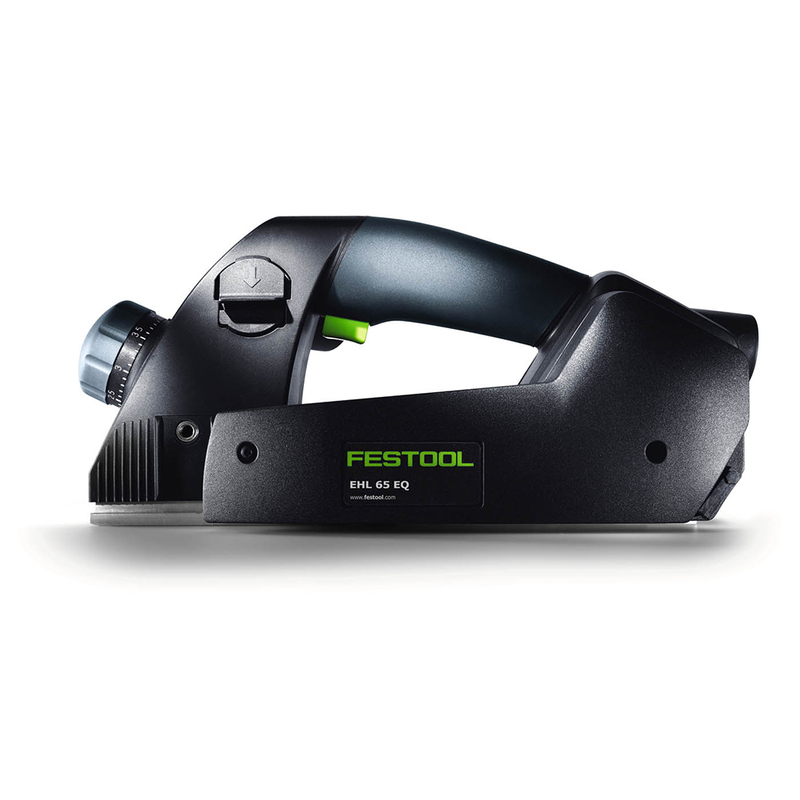 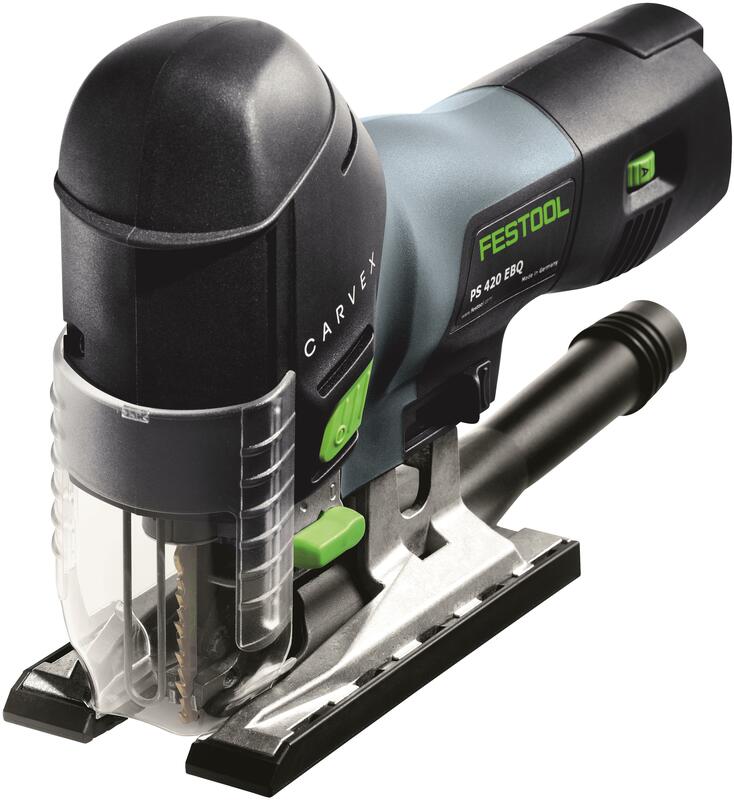 Despite being cordless and having a compact design, it has a huge cutting capacity of up to 303 x 110 mm. 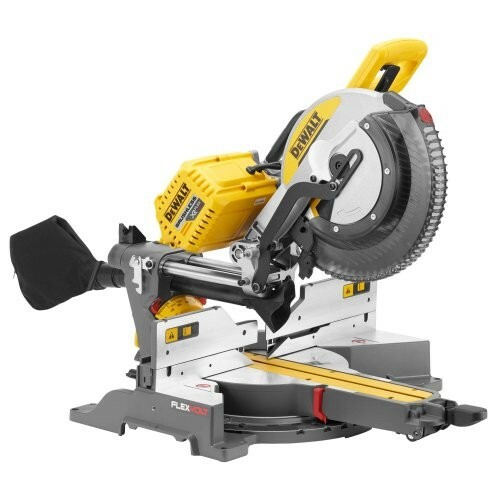 This one of a kind mitre saw can be powered through batteries for the best and most powerful mobile mitre saw on the market or using the optional DCB500 mains adaptor it can be powered by either 240 or 100v mains power. 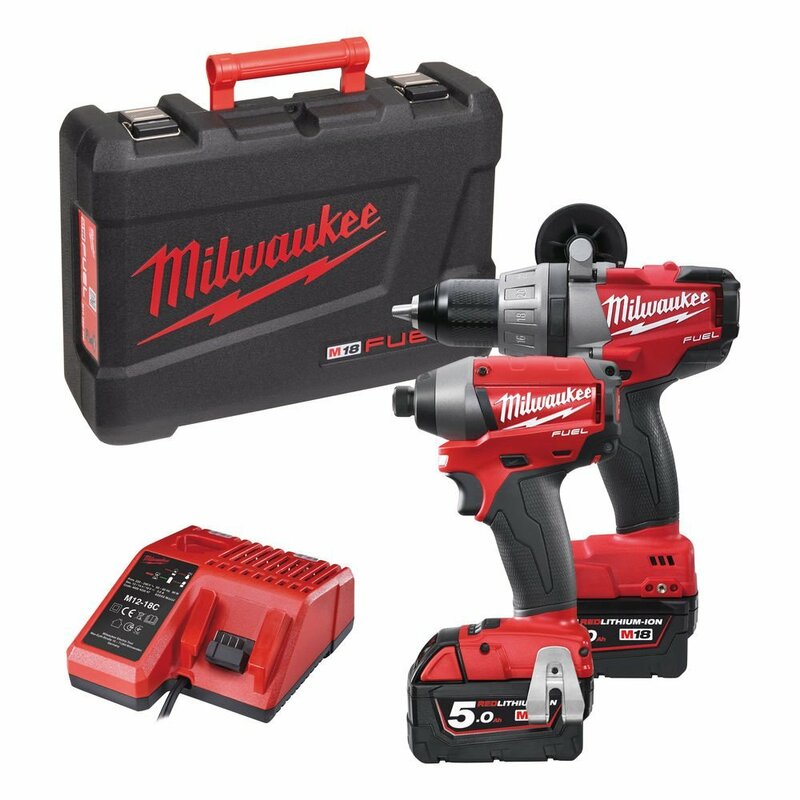 The mains adaptor gives you both 240 and 100v capabilities. 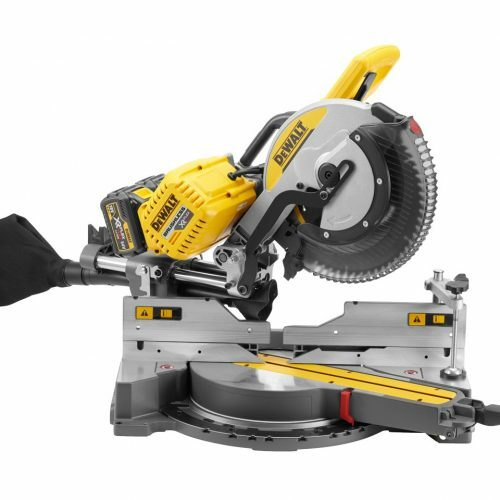 No saw gives you so much freedom than the DHS780.